← Learn to Mine Your Language Experiences to Become a Standout Candidate in a Competitive Job Market–Watch this video. When Should You Start Thinking About How Your Language Major Connects to Your Career? 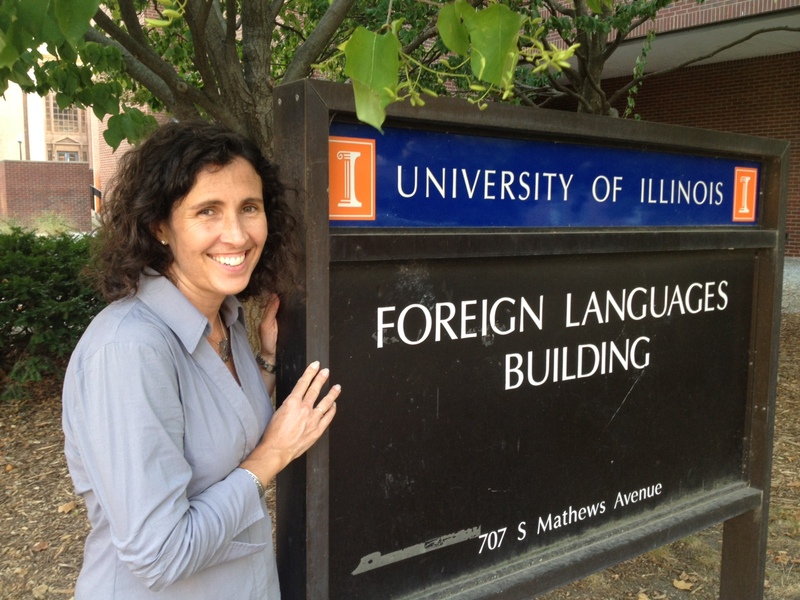 Last week, I led the “Getting Started on Your Job Search with a Language Degree” workshop at the University of Illinois, Urbana-Champaign. All the students who attended were first-year students. That is a great time to start thinking about connections between your language major and your career. But the best time to think about it is before choosing your majors. I like to work with first-year students who are ‘undecided’ and tell them why they should combine a language major with their pre-professional studies. So many of the “soft skills” employers want–like overcoming failure, decision-making, problem-solving, and effective communication–come from studying a language. The first day of a language class probably provides an example of a miscommunication (failure! ), the gestures and truncated language used to repair the miscommunication (decision-making and problem-solving) that ultimately result in very efficient, effective communication. Here are a few examples from first-year students at last week’s workshop in Champaign-Urbana who, after the session, now have Spanish well-represented on their resumes. That’s really impressive for a nineteen-year-old first year college student. That is a short anecdote that does not take up a lot of the precious space on a resume, yet it conveys a lot of information. It shows the student is willing to take risks and step into unfamiliar territory to solve a problem. It shows that he can communicate conversationally in Spanish. It provides quantifiable information that illustrates the uniqueness of his situation: being the only Spanish-English bilingual among 60+ people is a rare situation to be in this age of globalization. Study abroad programs struggle to find monolingual environments in which to immerse students because the globalized world of the 21st century means more Americans traveling abroad, more English-speakers throughout the world, and more multilingual people everywhere you go. These are good trends, but they make it hard for language students to cite examples of situations in which they absolutely had to function in a language other than English. So, to all you first-year students out there: what can you put on your resume already? What are your goals for the next 3 years? If you start thinking about it now, you will be able to slowly build a top-notch resume that makes you the go-to candidate when you’re looking for your first job out of college.